Emeli Sandé’s goal for REAL LIFE (due June 7) was to make music that inspires and uplifts. “Especially people who have been marginalized, forgotten or kicked down by this invisible oppression that’s always there,” the UK superstar elaborates in the press release. “I just want to give people this incredible superpower every time they play the album. 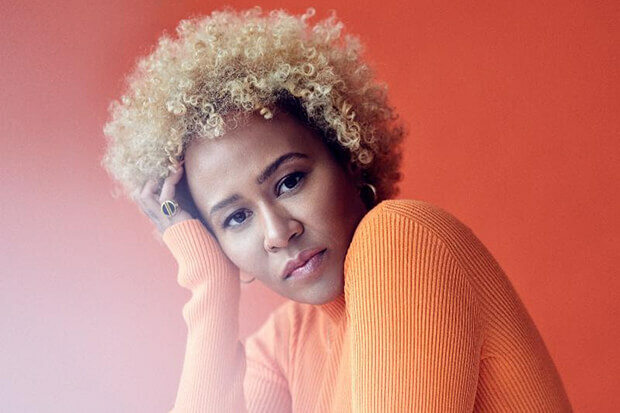 Like a battery pack — by the end of the album they’re going to feel restored.” That’s a lofty ambition, but if anyone can pull it off, it’s Emeli. Take the lead single. “Sparrow” is the kind of soul-stirring, soaring ballad that you just don’t hear that often anymore. There’s a self-help quality to track that runs through the album if song titles like “Love To Help,” “You Are Not Alone,” “Survivor,” “Human” and “Extraordinary Being” are any indication. Impressively, Emeli penned the lyrics for every song, while production duties were handled by Salaam Remi, James Poyser and Troy Miller. See the full tracklist below. Are you excited for Emeli’s new album? Let us know below, or by hitting us up on Facebook and Twitter!